A program of the Office for Women's Affairs, WISP seeks to create a supportive and proactive learning and working environment in which women in science can thrive and succeed. WISP's Advisory Board, made up of dedicated science and technology faculty, develop and implement programs that promote the participation of women in science, mathematics, and technology at Indiana University. Not yet a college student? The student chapter of WISP sponsors activities that are dedicated to in increasing interest in science careers and engaging more young women in thinking about STEM majors when they do attend college. AAUW believes in the value of educational programs that encourage girls to succeed in these traditionally male-dominated fields and introduce girls to female role models. AAUW creates programs that offer girls the opportunity for hands-on activities while also exposing them to a multitude of educational and professional options. 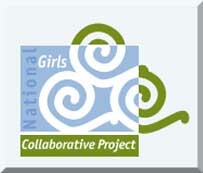 Collaborations with groups such as STEMConnector are also growing the reach and scope of AAUW’s STEM activities. STEM Programs for GirlsAAUW programs such as Tech Trek and Tech Savvy introduce girls to successful female role models in STEM. We aim to break down stereotypes surrounding these traditionally male-dominated fields and teach girls that intellectual skills grow over time, regardless of gender. These programs are a key part of AAUW’s efforts to level the playing field for girls in math and science and draw on the hard work and commitment of AAUW members and supporters to serve girls throughout the country. 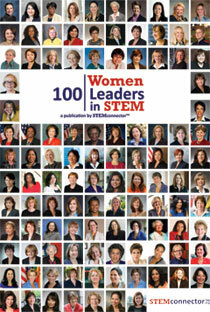 In celebration of women role models in science, technology, engineering and math (STEM), STEMconnector™ unveils in hard copy and online its inaugural 100 Women Leaders in STEM publication. The heroines included in 100 Women Leaders in STEM share stories about their commitment to serving as mentors and sponsors of those who are next in the STEM jobs pipeline. 100 Women Leaders in STEM showcases the careers and initiatives of more than one hundred women leaders who are active role models for the underrepresented segment of women in America’s growing shortage of STEM professionals. Also included are insiders’ perspectives about the traits needed to advance in the STEM professions, and how women in particular can make a difference. The publication features profiles of leaders in the corporate, government and nonprofit sectors, including CEO´s, Presidents and key public officials. Also included are Opinion Editorials featuring interesting data and perspectives about women in STEM. The African-American Women in Technology organization (AAWIT) is a non-profit organization dedicated to the education, support and advancement of African-American women in the field of Information Technology. STEM Ed Initiatives: The African-American Women in Technology (AAWIT) organization benefits include the AAWIT Resume Bank where employers specifically target AAWIT's members as candidates, The AAWIT Big Sister Network which gives you the opportunity to be mentored by a seasoned professional in all areas of life and the AAWIT Member Network where you have instant access to African-American women from all phases of the IT field. The Association for Women in Computing (AWC) was founded in Washington, D.C. in 1978 and is one of the first professional organizations for women in computing. 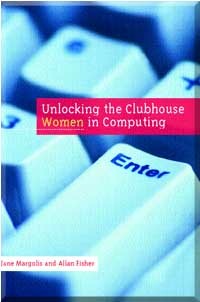 AWC is dedicated to promoting the advancement of women in the computing professions. Our members include many types of computer professionals, such as programmers, system analysts, operators, technical writers, Internet specialists, trainers and consultants. The Association for Women in Computing supports and encourages networking both in person and via the internet. AWC encourages the formation of student chapters at colleges and universities. 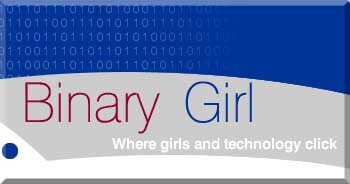 The most important goal of BinaryGirl.com is to share knowledge with those interested in learning more about technology through an interactive community of women. Our mission is to bring members together so that they may create the ultimate resource for themselves. We will encourage others and give them the support they need to expand their endeavors, whether it be building the perfect PC or starting their own IT business. It is time for women to bridge the gap in the IT industry and realize that they are an invaluable resource. Despite the pivotal role that computers play in our economy and culture, and despite explosive growth in the job market, only 15-20% of undergraduate computer science majors at leading U.S. departments are female. While girls and women may be using the internet for communication and the web for information-retrieval, it is predominantly men who are programming the computers, designing and fixing the systems, and inventing the technology that will affect all aspects of our lives. The under-representation of women among the creators of information technology has serious consequences, not only for those women whose potential goes unrealized, but also for a society increasingly shaped by that technology. The Center for Women In Technology (CWIT), was established at the University of Maryland Baltimore County (UMBC) in July 1998, dedicated to providing global leadership in achieving women’s full participation in all aspects of information technology (IT). 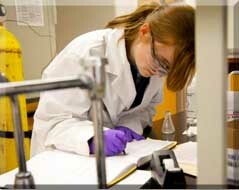 In 2006, the the scope of CWIT’s influence at UMBC expanded to include Engineering majors as well. 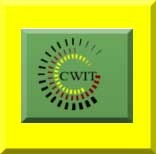 In July 2011, the name change from The Center for Women and Information Technology captured the twin threads at the center of CWIT – women and technology – while being broader about the types of technology included. Women’s participation in the creation of technology in IT and engineering fields will strengthen the workforce, raise the standard of living for many women, and help to assure that technology addresses women’s needs and expands the possibilities for their lives. We focus our social investments in education, healthcare, economic empowerment, and critical human needs. Leveraging public-private partnerships, as well as investments of technology, expertise, and cash, we multiply impact and help communities worldwide thrive. The goal of our social investments is to promote innovation, independence and long-term progress. We work hard to build programs and support organizations that thrive well beyond our investment--ones that put skills, confidence, and power into the hands of the people we work with. This is why we look for opportunities to give cash, expertise, and technology in ways that help people extend their own abilities. We believe this multiplies the success of the communities and organizations we work with far beyond what we have invested. Even "after the bubble", the world is a new place, and technology for communication and community-building are more important than ever. We want to ensure that women and other often-overlooked groups have the freedom, motivation and resources to participate in this new world. Career, training, and mentoring community for women and girls in technology. The home of The Huffington Post's Girls in STEM Mentorship Program. Join the discussion as we explore STEM education and careers, the issues facing women in STEM, and what it takes to be a mentor to females in these fields. Want to blog for Girls in STEM? Send us a pitch! Email STEM@huffingtonpost.com. Sign up for the Girls In STEM newsletter to receive news and updates from our program. You can also suggest a topic for an upcoming Girls In STEM Twitter chat or G+ hangout! IGNITE™ (Inspiring Girls Now In Technology Evolution) is a nonprofit 501(c)(3) educational program founded in 1999. Originally launched in the Seattle School District, IGNITE’s program connects school-age girls to professional women in STEM careers who act as role models and mentors. In the Seattle School District alone, female participation in technology classes soared from 10% to 50% since the start of the IGNITE program. IGNITE is a program for any school: in addition to chapters formed across the United States IGNITE has chapters in Ghana, Nigeria and India. The United States is experiencing a shortage of students interested in STEM careers (Science, Technology, Education, and Math.) By 2020, it is projected that in the US we will face a 300,000+ deficit in talent to support STEM positions. Women in particular are extremely underrepresented in these career paths: they represent only 15% of the technology workforce, down from a high of 35% in 1980. By increasing the number of women choosing STEM careers, we invest in our nation’s future of gender equity, and position the United States to remain competitive in these vital industries. Educates and inspires girls to consider high tech as a positive career choice. School presentations, field trips, workshops, mentoring. The National Center for Women & Information Technology is a non-profit community of more than 500 prominent corporations, academic institutions, government agencies, and non-profits working to increase women's participation in technology and computing. NCWIT helps organizations recruit, retain, and advance women from K-12 and higher education through industry and entrepreneurial careers by providing community, evidence, and action. People Who Build Technology Should Represent The People Who Use ItAlthough women today comprise half the world’s population and more than half of the U.S. professional workforce, they play only a small role in inventing the technology of tomorrow. The lack of girls and women in computing and technology represents a failure to capitalize on the benefits of diverse perspectives: in a world dependent on innovation, it can bring the best and broadest problem-solvers to the table; and at a time when technology drives economic growth, it can yield a larger and more competitive workforce. The U.S. Bureau of Labor Statistics predicts that IT will be one of the fastest-growing sectors of the U.S. economy, adding nearly 1.4 million job openings by 2020. Over two-thirds of these jobs could go unfilled due to the insufficient pool of college graduates with computing-related degrees. Women represent a vastly untapped talent pool. Groups with greater diversity solve complex problems better and faster than do homogenous groups, and the presence of women in a group is more likely to increase the collective intelligence (problem-solving ability, creativity) of the group. Companies with the highest representation of women in their management teams have a 34% higher return on investment than did those with few or no women. Webgrrls International is an online and offline networking organization of professional business women focused on propelling their careers and businesses forward.We focus on networking and connecting with others, leveraging and learning about technology, learning new skills and finding jobs, finding mentors and interns, and gaining access to support and information. Our Mission: Webgrrls' mission is to help women succeed in an increasingly technical workplace and world through networking, exchanging job and business leads, and teaching new skills. Our Philosophy: Webgrrls International is a mission-led corporation. Our mission is the guiding principle that helps us determine day-to-day activities, projects and partnerships. On both an international, national, regional and local level, the structure affords us solid foundation from which we can extend our reach, strengthen our voice and implement our vision. Long before "corporations" existed, businesses were small and community-based. The wellbeing of a company was directly related to its community. Today, we have become accustomed to expecting corporations to act solely in their own short-term self-interests, often to the detriment of the community as a whole. Businesses are not expected to care for people, a mission or the common good. Some companies attempt to counteract this image by donating to non-profit organizations. It is rare that a business is actually structured to focus on long-term solutions, missions and goals. Networking, mentoring, career information for women interested in technology. Carolyn Leighton founded WITI to help women advance by providing access to - and support from - other professional women working in all sectors of technology. (Read the story or watch the video.) WITI started in 1989 as The International Network of Women in Technology and, in 2001, evolved into The WITI Professional Association, the world's leading trade association for tech-savvy women. Today, WITI is the premiere global organization empowering women in business and technology to achieve unimagined possibilities.With a global network of smart, talented women and a market reach exceeding 2 million, WITI has powerful programs and partnerships that provide connections, resources, opportunities and a supportive environment of women committed to helping each other. Along with its professional association of Networks throughout the U.S. and worldwide, including Hong Kong, Great Britain, Australia, and Mexico, WITI delivers value for individuals that work for a company, the government or academia, as well as small business owners. WITI Corporate MembersDedicated to advancing women in technology through conferences, training, career resources, networking. Women In Animation is a professional, non-profit organization established in 1994 to foster the dignity, concerns and advancement of women who are involved in any and all aspects of the art and industry of animation. WIA is… a networking organization. We provide opportunities for you to meet and exchange business cards with interesting and influential people in the animation industry. WIA is an organization of friendly and helpful people. Look for a mentor here! WIA is… an educational organization. Through our workshops, meetings and panels you are bound to gain valuable insight into the industry, opportunities available to you and other educational resources in your area. WIA is… worldwide. With most members concentrated in the United States and Canada, our influence and members at large reach into many other countries and is growing all the time. Plus, we have Committees focused on Historical documentation, Membership, Youth & Education, Public Affairs, Volunteers, Programming, Fundraising and Communications. You can find, or create, what’s of interest to you in WIA. 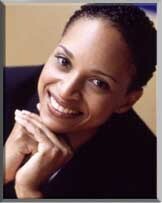 Online role models, mentorships, streaming video interviews with members. This blog showcase profiles of innovative female pioneers, from CEOs to scientists, entrepreneurs to engineers, who are changing the way we think about and engage with technology.